One Legal — What happens if the invited user does not receive the email invitation? 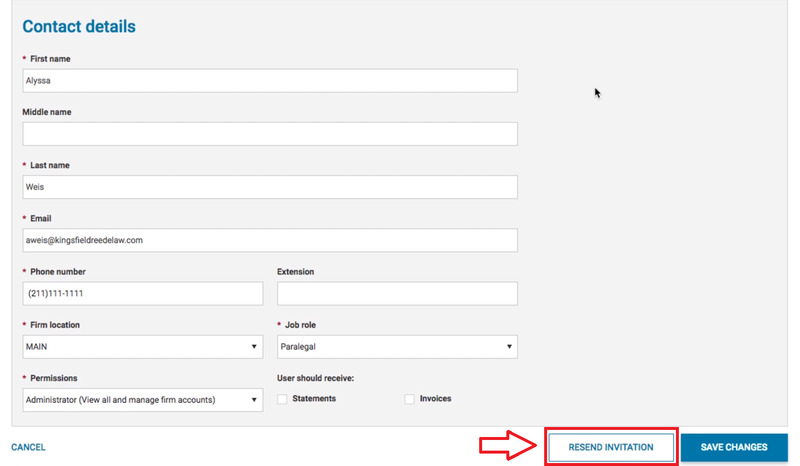 If the invited user does not receive the email invitation containing the account verification link, you can resend it. Click the edit icon next to the pending user. Scroll to the bottom of the Edit Contact screen and click Resend Invitation. Another email will be sent to the user.